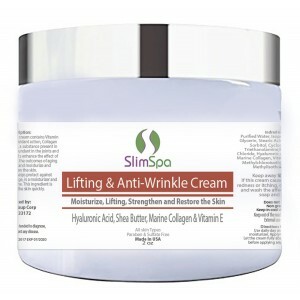 Moisturize, Lifting, Strengthen and Restore the Skin with Hyaluronic Acid, Shea Butter, Marine Collagen & Vitamin E.
Lifting & Anti-Wrinkle cream contains Vitamin E, known for its antioxidant action, Collagen and Hyaluronic Acid , a substance present in the body naturally, abundant in the joints and eyes. 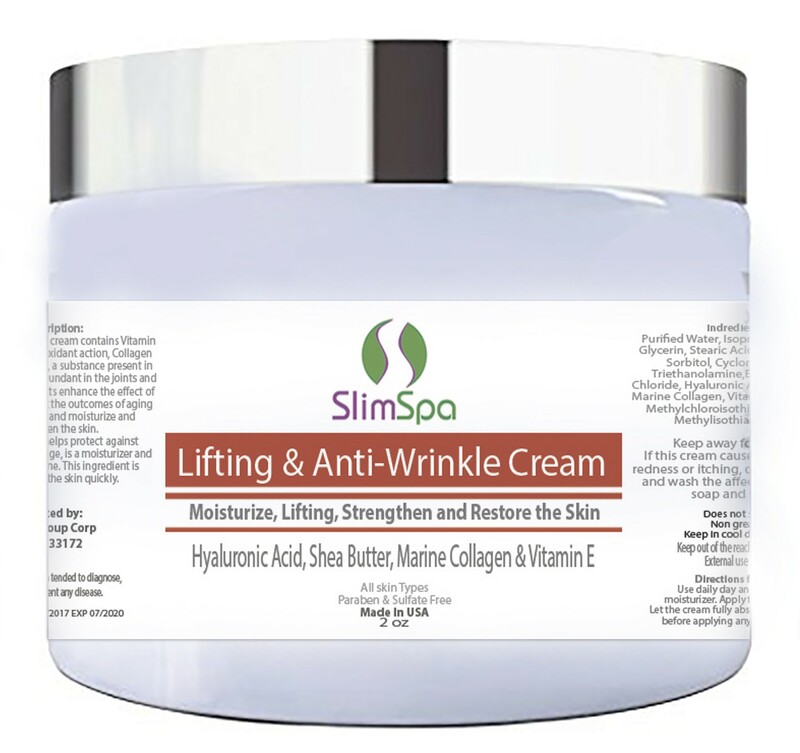 These ingredients enhance the effect of the cream to combat the outcomes of aging such as wrinkles, and moisturize and strengthen the skin. Shea Butter also helps protect against environmental damage, is a moisturizer and aids to restore shine. This ingredient is absorbed by the skin quickly. This light-weight hyaluronic acid helps to improve the appearance of fine lines and deep wrinkles. Making skin appears more radiant, reduce fine lines, crow's feet and discoloration. After few weeks, deep wrinkles are visibly reduced. This formula glides on easily and absorbs quickly, leaving skin feeling smooth and velvety and is ideal for use under makeup. All skin Types. Paraben & Sulfate Free. Does not stain Non greasy. Purified Water, Isopropyl Palmitate, Glycerin, Stearic Acid, Cetyl Alcohol, Sorbitol, Cyclomethicone, Triethanolamine,EDTA, Sodium Chloride, Hyaluronic Acid, Shea Butter, Marine Collagen, Vitamin E, Fragrance, Methylchloroisothiazolinone and Methylisothiazolinone.